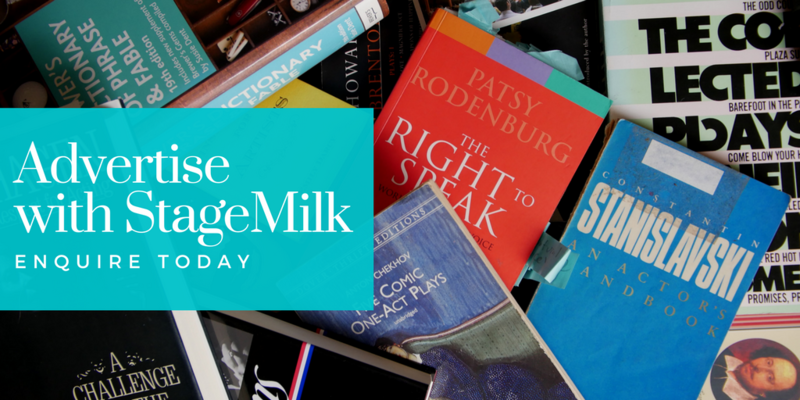 StageMilk.com is one of the largest acting resource websites in the world. The site was established in 2012 and has since grown to be the home of acting information and advice. Everything from monologues, scenes, acting tips, teaching resources and much more. Our large, niche audience offers advertisers a great opportunity to advertise to actors. If you’re looking to get your message to actors, look no further. StageMilk is seen by around 2000 people a day (60,000 a month), and is growing everyday. StageMilk also has an active and established social media presence and an email list of around 6000 people. We offer one package for advertisers. We call it the site takeover package. We want to work with companies we respect and who are inline with our values. If you become a StageMilk partner you will be the exclusive site wide sponsor. We work with you to create an awesome background wrap (which can be seen on the site right now) and make sure you are getting your desired goal. Our advertising has a great conversation rate, and your product or service will be seen across all 350+ pages, appealing to a diverse range of actors. Love the sound of getting your company in front of thousands of loyal actors? We would love to talk further with you about advertising on StageMilk. Send an enquiry below and we will be in touch about moving forward. We’re sure you’ll be happy with the outcome.